Issue: While using a fixed camera BioLab is not displaying any picture (Figure 1). 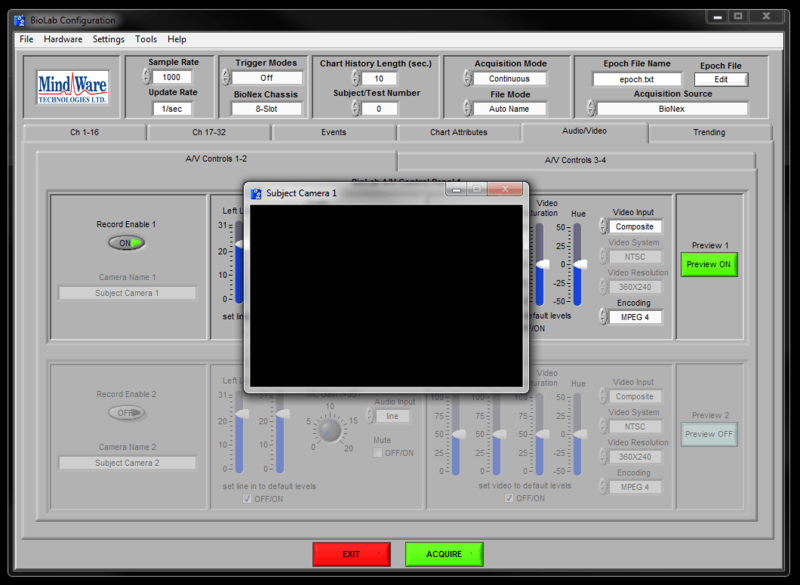 Figure 1: BioLab is failing to display a video signal. If you are not able to get to the “Audio/Video” tab please refer to this article. 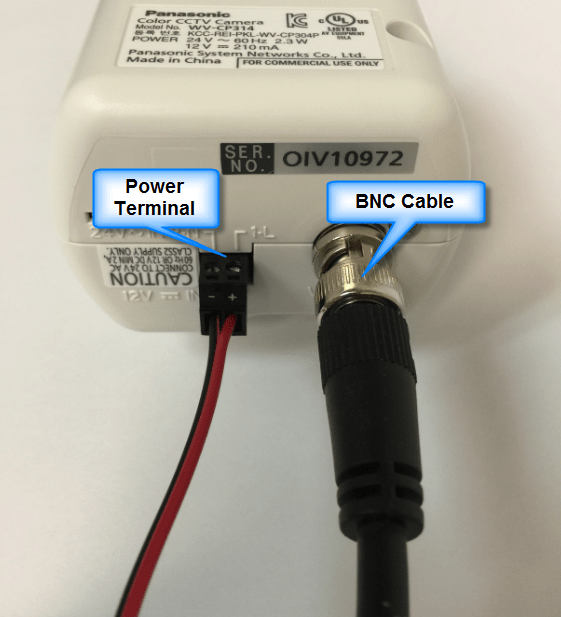 Solution: Ensure the DC power pigtail is securely plugged into the DC power adapter. Ensure the DC power adapter is plugged into a working wall outlet. 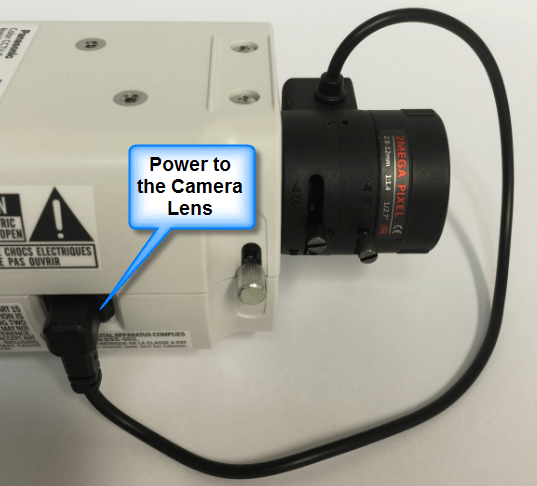 Some cameras may be different and may not be connected like the one displayed below. Solution: Ensure the lens on the camera is plugged in and powered. Solution: Power cycle MindWare hardware used for video, and allow 30 for drivers to reinitialize. Exit out of BioLab and restart it. Issue: Picture is out of focus or the zoom needs adjusting. Solution: Fixed cameras have a manual focus and zoom. Turning the front of the lens will zoom in or out the picture, while the adjustment on the base of the lens is used to focus the picture. Once the desired adjustment is set carefully tighten the screws on the adjusters to secure the settings in place. Solution: Make sure the lens is completely screwed into the camera, and that there is nothing obstructing the lens.